Yay Sunday on Guiltless Reading! The blog for the past week hasn't been overly busy, but I am in the sidelines as I'm preparing for three upcoming events! It's going to be a crazy month! A black feather #BookmarkMonday. How much more appropriate for Halloween can I get? 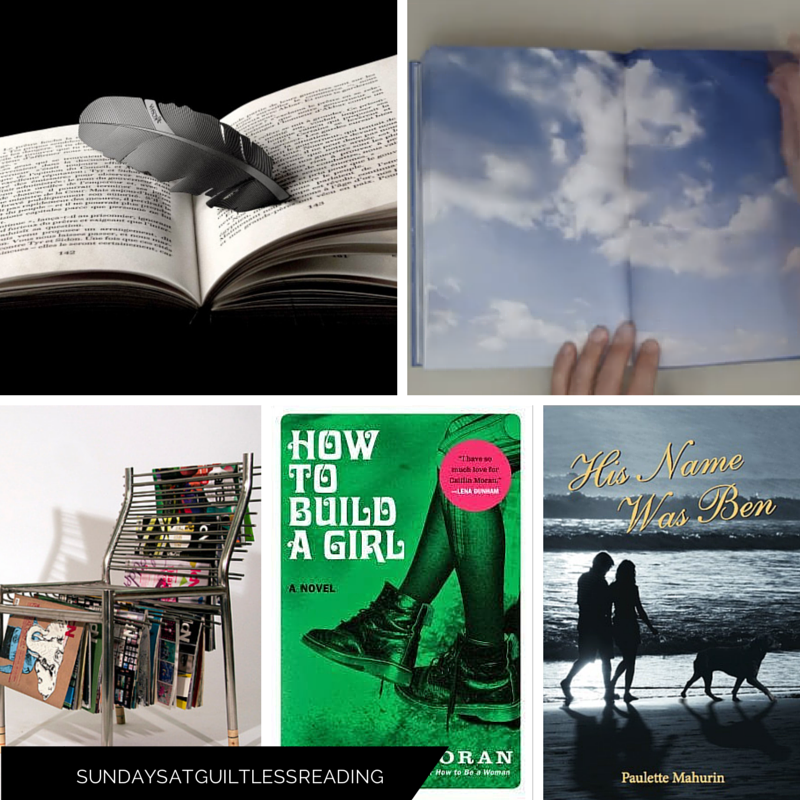 Friday 56 & Book Beginnings (+ a Giveaway - open worldwide!) of His Name was Ben by Paulette Mahurin. P.S. I've read her The Persecution of Mildred Dunlap so I don't doubt this will be a really good read! Sit on your magazine rack! Cloud watching your thing? --- there's a book for that! Only one, but a definite conversation piece. Check out Caitlin Moran's How to Build a Girl and see why I liked (and disliked) her Almost Famous-like story of a brashmouthed 14-year-old girl. I haven't written up any intro posts yet, but go check out the hosts of the events I am joining in in November! Maybe you'll join in? My week was a little quieter than usual too. Trying to play ctach up and also prepare some posts for the end of the month. Did get some reviews written and will be posting them for Halloween. I want a black feather for a bookmark. That's all kinds of Halloween-y awesomeness! Sounds like you have a busy month coming up but hopefully a fun one. Have a great week! I agreed with you review of How to Build a Girl--so much there is interesting (and yes, it's great for a mom of a teen girl to read, to get yourself back into that space! ), but yeah, as a novel, it was a mixed bag for me, as well.